Like with the other members of Doom's Black Cabinet, Herod attempts to kill Morphine Somers. In this case Herod sends a kamikaze brain blaster. 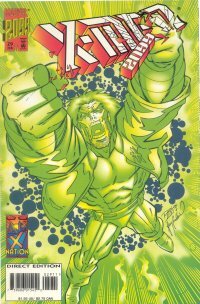 The Graverobber, really a mutant named Garth Simenon, is using Skullfire to drain Halo City of all its power and ransoming it in exchange for control of the city and the life of Zail Haddad. 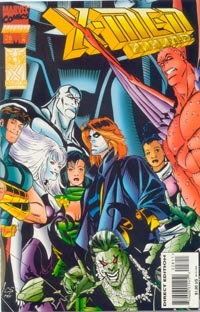 The X-Men refuse and battle on the rooftop of a skyscraper. Heywood observes the struggle and does not know that he himself is being observed by none other than Doom! The tide of battle shifts when Morphine Somers appears on scene to make a deal. He offers up Zail Haddad to the Graverobber who in turn explains his origin. Just as Simenon thinks that he has Haddad where he wants him, Morphine reveals that he bobby trapped Zail with a neural charge. The charge disables Simenon and Zail. Without Simenon's energy to sustain them, the Undead fall to the ground lifeless. Shakti attends to her father and reprimands Morphine's callous use of him. Unlike the other Undead, Skullfire by unknown means sustains himself. Complying with a bargain he made with Herod, Morphine surrenders the body of the Graverobber and his undead. As the transport exits Halo City, Doom destroys it and collects the bodies for himself and thus prevents Herod from harnessing the Graverobber's power for his own ends. Doom has Billy Zedd transport Cerebra to his secret hideout. There he explains that he had a ulterior motive for creating Halo City. His calculations using the Seldon / Dixon Futurity Model indicate that the current generation has produced a mutant of messianic proportions. 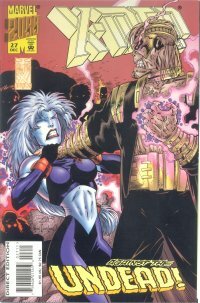 Doom entrusts her with the task of seeking out the mutant messiah and ensure that he/she receives guidance or else this mutant could bring about destruction on a apocalyptic scale. Doom also visits Morphine Somers who he promptly shoots for his betrayal. 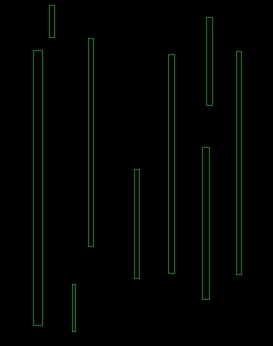 He allows Morphine to live but with the knowledge that he will be watching him. 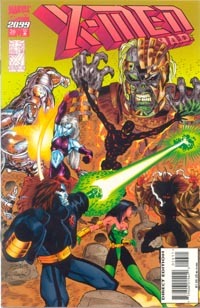 The meeting shown here between Doom and Cerebra would seem to take place prior to his departure in Doom 2099 #38, although the scenes are likely meant to be the same one.